In the hustle and bustle of serving lawn care customers and managing employees, it can be daunting to streamline operations and track where crews and equipment are at any given moment. Integrating GPS tracking into your operation can help — and will pay off in the long run. Ryan Driscoll, vice president of marketing at GPS Insight, says the positives are obvious for companies with expensive equipment and a workforce that’s always on the move. “Think about it this way: If you have trucks, trailers or mowers that are of value, and if location information, driver accountability, safety, efficiency and maintenance are important to you, then you should consider using GPS tracking,” he says. Aries says prior to researching GPS fleet tracking systems, lawn and landscape companies should first consider the specific challenges they’re looking to solve. 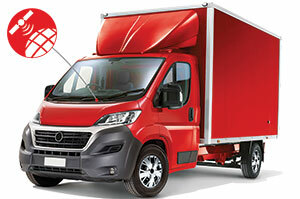 Typically, these challenges include accountability, safety, efficiency and vehicle maintenance. Accountability relates to how a company holds its drivers responsible for their time and use of company property and how it holds itself responsible to its customers. 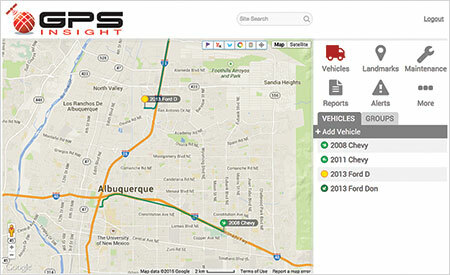 A GPS fleet tracking system displays where drivers are, their current status and where they have been. The system can track the number of customer visits and length of time spent with each customer, which also can offer proof of service to customers in the event they claim a crew didn’t provide a service or stay the expected length of time. GPS tracking allows companies to verify payroll using location information, which, according to Driscoll, can help save companies thousands of dollars a year due to intentional or unintentional rounding errors. He notes that contractors have found blatant and subtle cases of inaccurate time reporting — a discrepancy of just 10 to 15 minutes of billable time reported can add up over a long period. An additional concern may be that crews are doing unscheduled side jobs off of the books. These would also appear on GPS tracking reports.Safety issues include unsafe driver behavior, vehicle accidents and liability for accidents. It also involves ensuring the safety of employees and the public. “When your drivers are reckless in company vehicles, the consequences go far beyond just monetary; they can be fatal,” Driscoll says, adding that among businesses with vehicle fleets, trailers and other equipment, safety is the No. 1 challenge those companies look to solve with GPS. Tracking systems can help improve driver behavior and reduce tickets and accidents — which can ultimately lower insurance and liability costs and improve a company’s brand image in the community. For a fleet, efficiency and vehicle maintenance relate to ensuring vehicles and equipment receive preventive maintenance on schedule, working as efficiently as possible to deliver the best customer experience, ensuring fuel efficiency and examining the use of vehicles and equipment, Driscoll says. GPS tracking systems can help lawn and landscape companies track, schedule and receive reminders for all preventive maintenance due on a vehicle. It also can notify the shop to bring vehicles in when the check engine light comes on. The systems can also help create more efficient service routes, which may cut fuel costs by reducing engine idling, speeding and unauthorized use, according to Driscoll. Reducing fuel costs and increasing efficiency mean crews can focus on the customer experience by providing fast response times to service requests, accurate ETAs and time windows for service. Monitoring time spent on service calls helps ensure that employees are completing jobs as efficiently as possible. Tracking these metrics with GPS may have an additional upside, Driscoll says. By examining use, companies can optimize fleets and ensure they are getting the most out of every vehicle and asset during its time in service. It can also identify if contractors have the appropriate number of vehicles and may reveal additional cost savings if a company has a surplus of trucks on the road. Once a contractor decides on the top challenge he or she would like to solve, they should reach out to GPS companies and receive product demonstrations. After deciding on a GPS tracking system, a lawn or landscape company should provide the GPS provider with a vehicle list, which will help determine the correct GPS devices and installation equipment suited for the year, make and models of those vehicles. Depending on the GPS system, the contractor may install the GPS devices on the vehicles him or herself following a step-by-step guide, or the supplier may install them. Once the devices are installed and registered, an account manager will train users on the system and how it can help solve their business challenges. Driscoll says the cost for GPS Insight’s system ranges from $20-30 per month per vehicle and approximately $15 per month per trailer or asset. There are no upfront costs and the system includes the GPS device and the monthly software and app service. As far as the return on investment (ROI), Driscoll estimates that companies usually see savings up to five to 10 times the cost of the software within the first few months. He says that companies start seeing ROI as quickly as the first month of GPS tracking, as employees are aware they are being tracked and begin to change their behavior accordingly. Verizon Connect does not disclose pricing publicly, however, it also aims to get companies up and running with their new software in 30 days. Aries acknowledges that change is scary, and whenever a company needs to adapt a new system or solution into its business, it can be difficult and time-consuming. There’s sometimes a “big brother” concern about being tracked that may turn off some field employees.